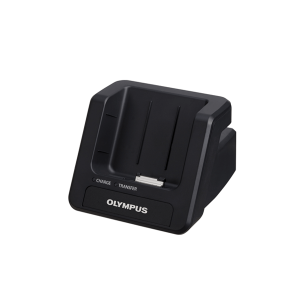 Create clean, accurate verbal notes efficiently with the Olympus RecMic II RM-4110S Dictation Microphone. Advanced technologies in an innovative advanced noise canceling system. This series of desktop dictation microphones combines advanced technologies in an innovative advanced noise canceling microphone system ideal for noisy environments. Intelligent dual microphones control the directionality to keep the focus on the person dictating, and suppress non-voice noise eliminating anything outside the human frequency range. In addition, a triple-layer studio-quality filter blocks traditionally problematic sounds including wind breath noise. The Olympus RecMic II RM-4110S microphones retain accurate spoken audio without any distortion while suppressing unwanted noise, and make controlling desktop dictation easy. 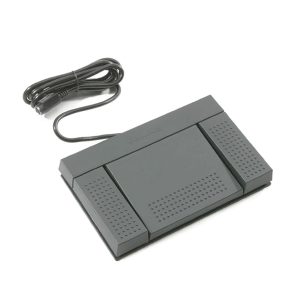 This Olympus dictation microphone features dual microphone technology that creates narrow directionality and focuses on the acoustics in front of the microphone and cancels unwanted noise from the sides and back. 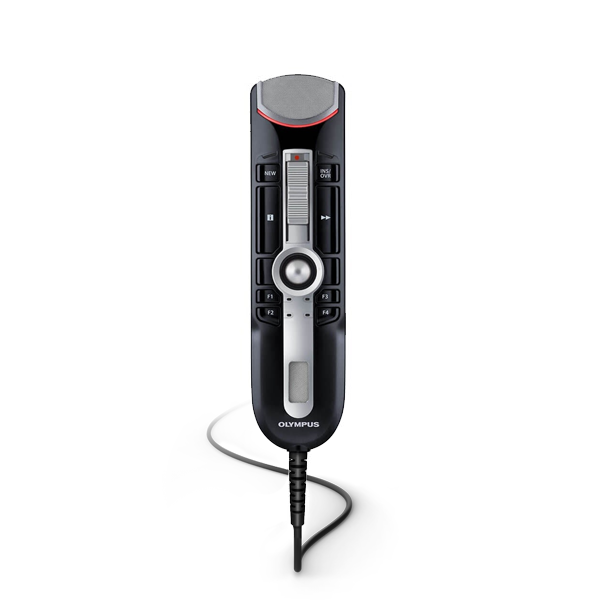 The housing and buttons on every RecMic II Olympus dictation microphone are made of antimicrobial coating materials (ISO 22196). The “tolerance to alcohol” design allows for superior cleanability.